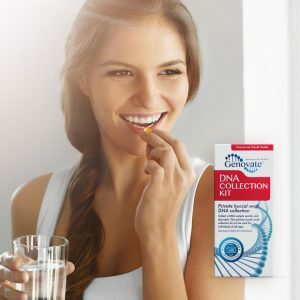 Home Health General Health Did you know DNA determines if aspirin protects you from colorectal cancer? Did you know DNA determines if aspirin protects you from colorectal cancer? When Felix Hoffman, a German chemist working for Bayer, wanted to develop his new drug aspirin in 1897, he was promptly ignored. He was told his drug had an “enfeebling” effect on the heart, making it a product of no value. Lucky for us, that wasn’t the end of the story. Nowadays, aspirin is one of the most widely used drugs to treat fever and inflammation. The US Preventative Services Task Force even recommends using low-dose aspirin for the prevention of cardiovascular disease and colorectal cancer in people aged 50 to 59. Studies that link low-dose aspirin to a decreased risk of heart disease, support this recommendation. Others show that aspirin could be effective for both the prevention and treatment of colorectal cancer. BUT, according to one study from the Fred Hutchinson Cancer Research Centre, the benefits of this anti-inflammatory drug on colorectal cancer may depend on your genes. Aspirin works by blocking an enzyme called cyclooxygenase, which controls inflammation and blood clotting. 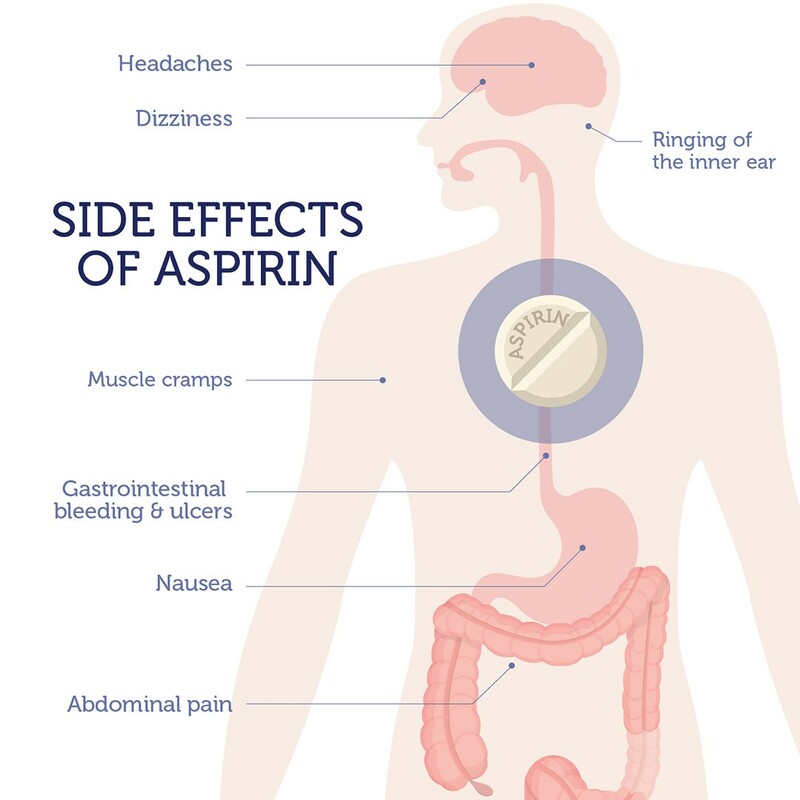 While aspirin is generally well tolerated, in some people it can cause dyspepsia (indigestion) and stomach ulcers. It can also increase the risk of intestinal bleeding. 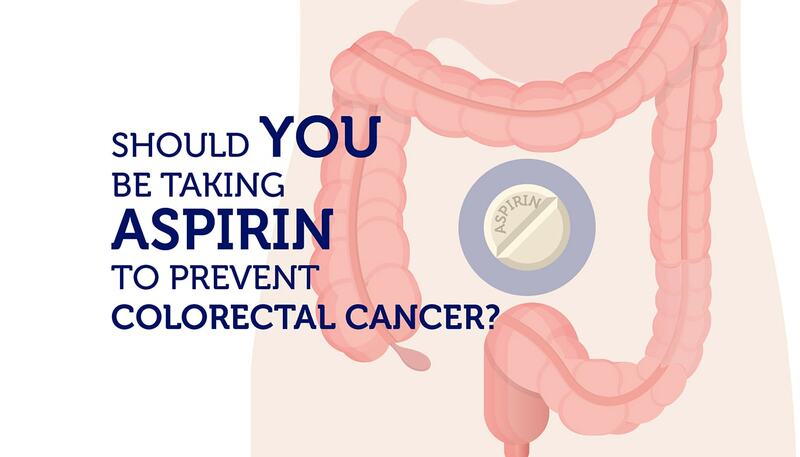 There is good evidence that long-term use (5-10 years) of low-dose aspirin will lower the risk of getting colorectal cancer and increase the survival rate in patients. However, whether these benefits outweigh the harmful effects of aspirin, is a topic that remains controversial. The study by Nan and colleagues adds to this debate, emphasizing the need to consider genetic variation when prescribing aspirin therapy. These researchers gathered genetic data from 8,634 colorectal cancer patients and 8,553 healthy individuals. In agreement with previous studies, they found an association between the use of non-steroidal anti-inflammatory drugs (NSAIDs) and the risk of colorectal cancer. People who used aspirin or NSAIDs regularly (2-3 days/week), were 30% less likely to develop colorectal cancer. But, there was a catch! 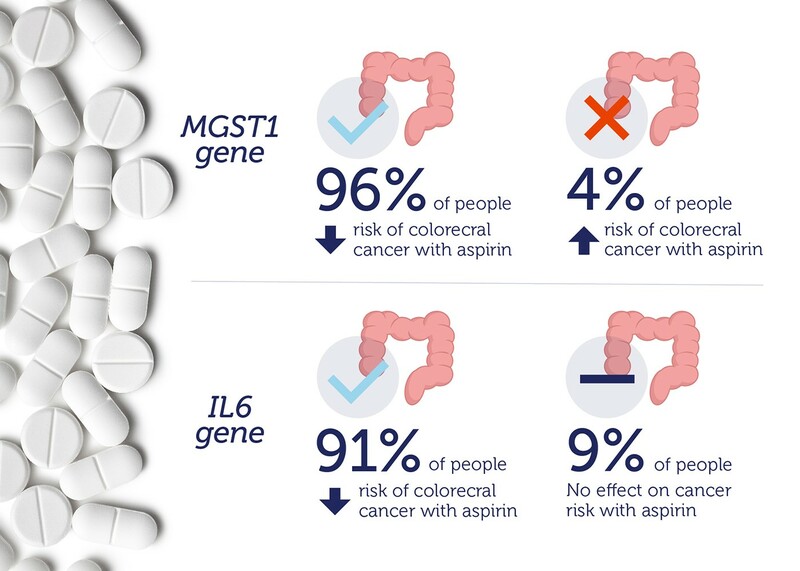 Genetic markers near two genes, MGST1 and IL16, influenced the positive affects of aspirin on cancer risk. Even worse, people who inherited the rare variant near the MGST1 gene, were actually at increased risk of developing cancer if they used aspirin. About 4% of the population inherit this variant. The bottom line is that aspirin therapy should be personalized. 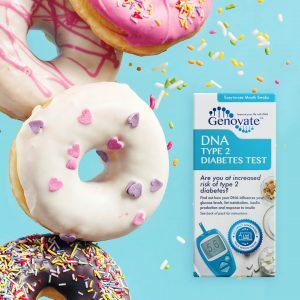 Factors such as the age, health complications, and the genetics of a patient need to be considered to properly assess their risk. Aspirin is one of the most widely used anti-inflammatory drugs in the world. Yet, no health organization endorses taking it for the sole purpose of preventing colorectal cancer. The decision of who should be taking aspirin as a preventative drug is not an easy one. 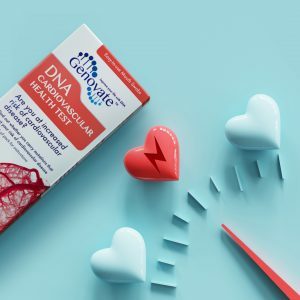 The Aspirin and Colorectal Cancer Risk DNA Test can help you decide whether it is the best preventative method for you. You can’t change your genes, but, you can make sure you are not risking your health when you practice prevention. Previous articleDid you know DNA changes cause hemochromatosis? Next articleDid you know DNA can affect your bone health?